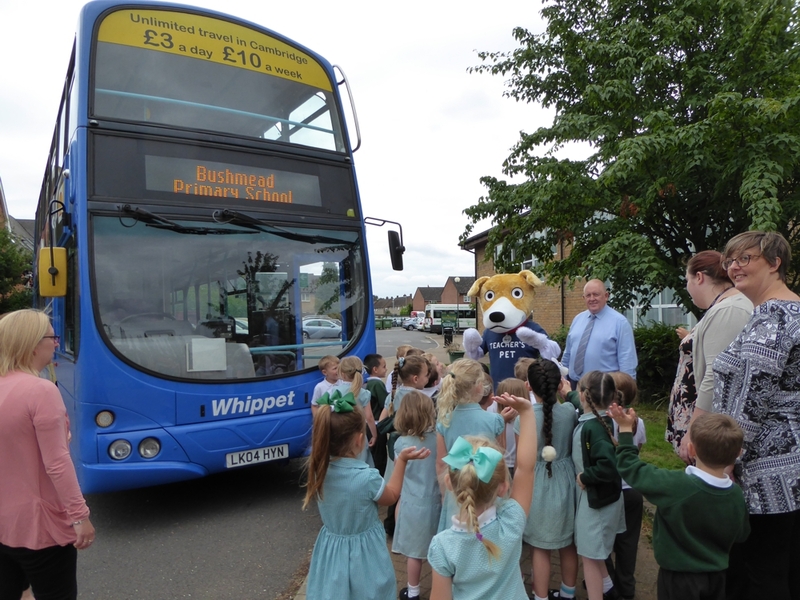 Henry, our dog mascot, went to Bushmead Primary School in St Neots on Tuesday 11 July to meet two classes of children aged 4 and 5. 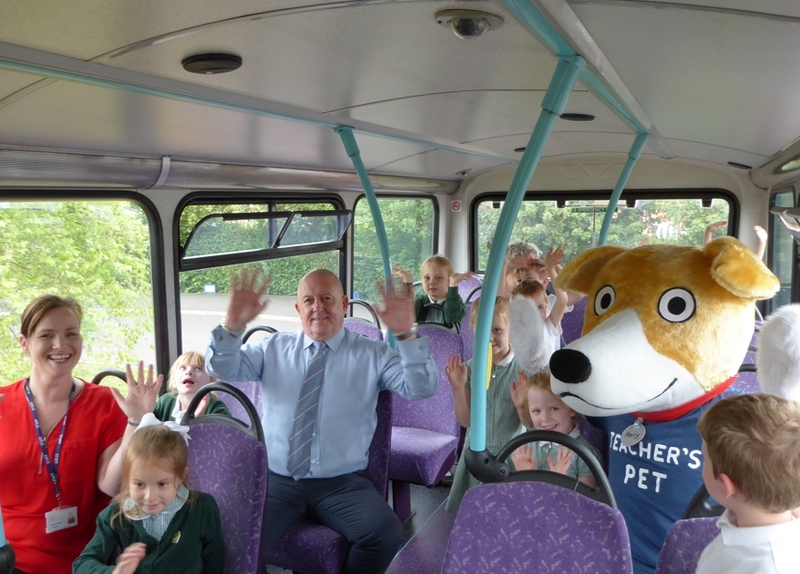 Henry arrived on one of our blue double-decker buses, which can often be found in the town on routes 61, 62 and 63. The ability to see things from the top deck of a bus that you wouldn’t normally see was clearly demonstrated by one very observant girl, who noticed another of our blue double-decker buses driving along a nearby road in passenger service. 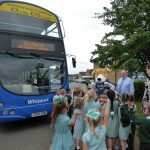 After the ride the children were given the opportunity to ask Matthew Wooll, the driver, questions about the bus. These included how it works and what the yellow push buttons were for on the hand poles. The importance of sitting down whilst the bus is moving was explained by Paula and also not to ring the bell more than once. 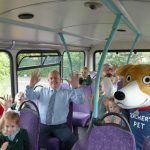 After the visit, each child received one of our colourful timetable leaflets containing pictures of Henry and a double-decker bus of the same type they travelled on.